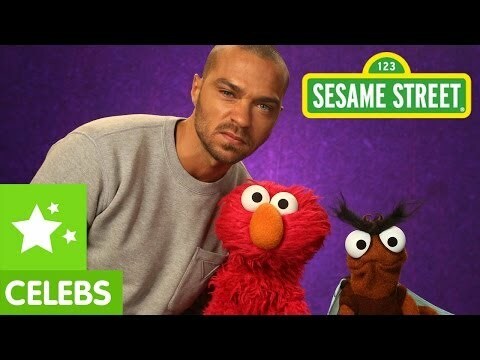 A native of Chicago and graduate of Temple University, Jesse Williams began his professional career teaching high school in low-income Philadelphia public charter schools. From there he moved to New York City and, after working at a law firm, began his professional acting career, performing off-Broadway at The Cherry Lane Theatre under the direction of award-winning playwright Edward Albee in The Sandbox. 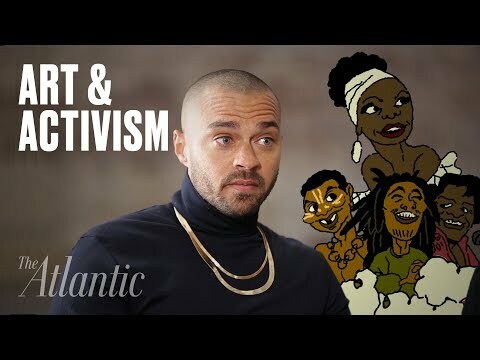 Williams is in his 8th season as Dr. Jackson Avery in ABC’s hit series Grey’s Anatomy and most recently served as senior producer and correspondent for EPIX docuseries America Divided with Norman Lear. His upcoming film projects include Band Aid, which premiered in January at the Sundance Film Festival, and Jacob’s Ladder, a reimagining of the 1990 psychological thriller from LD Entertainment and Will Packer Productions. He also executive produced the documentary Stay Woke: The Black Lives Matter Movement, which premiered this summer. His feature credits also include Lee Daniels’ The Butler, The Cabin in the Woods, Brooklyn’s Finest, and The Sisterhood of the Traveling Pants 2 as well as the acclaimed western short They Die By Dawn. Williams is founder of the production company, farWord Inc. and the executive producer of Question Bridge: Black Males, a series of transmedia art installations, films, curriculum and website (QuestionBridge.com). The exhibition was an official selection of the 2012 Sundance Film Festival New Frontiers and continues to be exhibited in museums nationwide, including the Smithsonian National Museum of African American History and Culture. Off-screen, Williams hosts the sports and culture-themed podcast Open Run, through a partnership with LeBron James' digital network, Uninterrupted. He is a board member, brand ambassador, and partner in the company Scholly, a mobile app that connect students to scholarships for which they're eligible. Additionally, Williams and his then-wife, Aryn Drake Lee-Williams, alongside renowned artist Glenn Kaino, launched Ebroji, the first curated GIF keyboard designed specifically to enhance the way we already communicate. 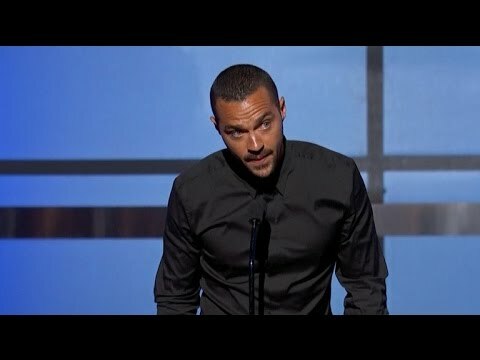 Williams gained international attention for his acceptance speech when presented with the 2016 BET Humanitarian Award as a champion of civil rights. He also sits on the Board of Directors of Advancement Project, a leading national civil rights advocacy organization and Harry Belafonte's arts and social justice organization Sankofa.org. 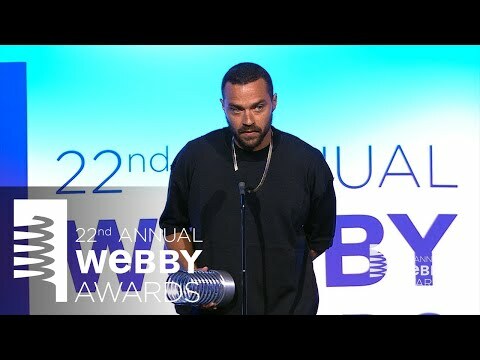 Jesse Williams' 5-Word Speech at the 22nd Annual Webby Awards . 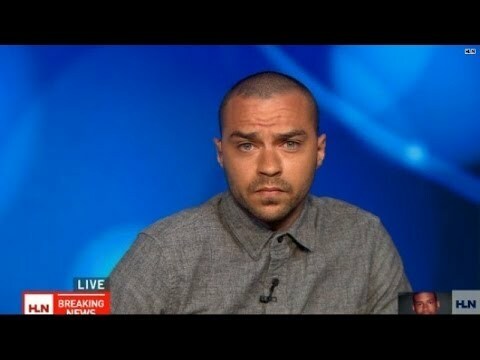 Enter Jesse Williams, the actor who plays the hunky Dr. Jackson Avery on ABC's “Grey's Anatomy.” Williams appeared on CNN's “State of the Union” Sunday.